It’s been a few years now that Sardinian wines have been appreciated nationwide and Internationally, and are also receiving several awards. New wineries are born each year and they start to produce interesting wines since the very beginning and win contests at the most important wine fairs all around the world. This is a great signal that means young people are going back to viticulture traditions, and most importantly are rediscovering native varieties, previously left aside with the 70’ vines removal. The most important and widespread grape varieties grown in Sardinia are: the famous Cannonau, Nuragus, Monica, Vermentino, Carignano, Sangiovese and Bovale. Red grape variety. In Campidano, wines obtained from this grape were only used to “cut” other wines. Today Bovale is successfully vinified as single variety, and reaches high quality standards, especially when it comes from wineries around the town of Terralba. Its colour is of an intense red ruby, with scents of ripe plums and wild berries. Well structured and peculiar for its hardiness. Pair with meat based dishes. Definitely the most important and popular Sardinian red grape variety, very well known also abroad. Grown all over the island’s territory, picks up different characteristics from each production area. The colour is a transparent ruby red, with purple undertones in young wines, deep scents of plums and blackberries. Pair with red meat or mature cheeses. 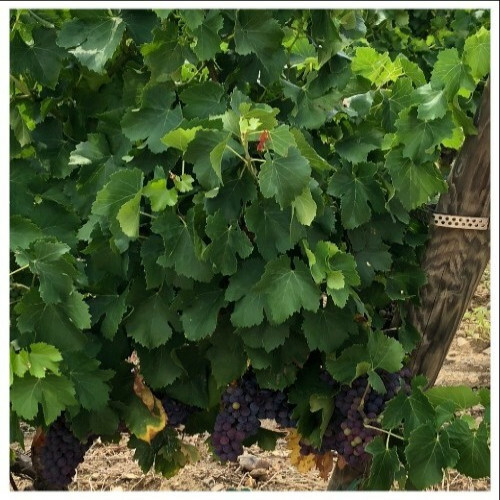 Red grape variety, highly resistant to sea breezes. Grows well in Sardinia's south west coast. The wine is of a deep ruby red, with fruity and floral aromas, herbaceous undertones that evolve into spices when aged properly. Pair with roast meat or mature cheese. 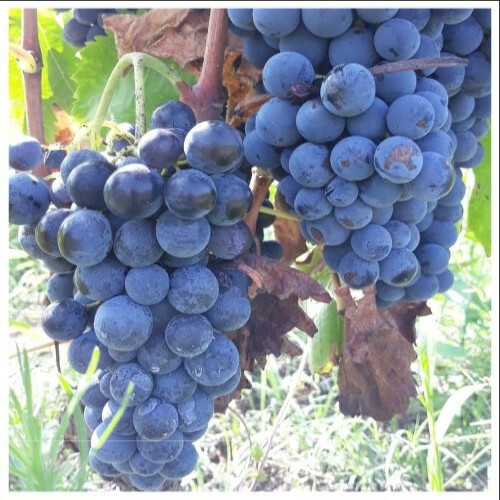 Red grape variety, present in Sardinia since centuries ago and grown almost exclusively around Sassari area. Originally wines obtained from Cagnulari were used to cut other less intense and less structured reds. Cagnulari has been saved from extinction by a dozen of small producers, who believed in its great potentials. Red ruby in colour and fruity on the nose, few tannins and very well structured. Pair with meat or mature cheese. Red grape variety largely present in southern Sardinia, most likely brought on the island by the Spaniards. In the last decades the productivity has been very inconstant so that Girò viticulture was left aside and almost lost forever. Girò production has restored only very recently. Vinified sweet and paired with desserts or mature cheese. White grape variety grown all around Sardinia, even though the most famous is the one from Bosa. The wine is golden with amber undertones, intensely perfumed of ripe and dried fruits. Pairs very well with almond paste sweets. Excellent on its own as meditation wine. Red grape variety, originally from Spain and grown all around Sardinia. The wine obtained from this verity has a deep ruby red colour, vinous scents and little acidity. Used to give more softens in cutting other red wines. Pair with structured dishes. This aromatic white grape variety, is grown all around the island but prevails in the vineyards around Cagliari. Its wine perfumes of honey, nuts, dried figs and apricots. Pairs well with dry patisserie or blue and mature cheeses. Excellent as meditation wine. Native white grape variety, grown in Campidano. Generally used to produce sweet wines, today is also successfully vinified dry. Sweet wines can be perfectly paired with almonds based sweets, while dry ones go better with seafood or white meat. 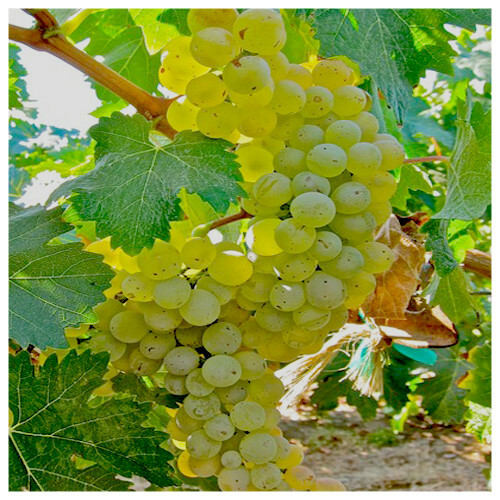 The most widespread white grape variety in Sardinia and most likely to be brought on the island by Phoenicians. The wine obtained is pale yellow in colour, with delicate fruity flavours (apple and acacia flowers). Very fresh, must be drank young. Pairs well with seafood or fresh Pecorino Sardo. Native white grape variety, grown especially in the area around the town of Mogoro, in Oristano province. The wine colour is of a bright yellow, fruity on the nose, dry and mineral on the palate. Pair with white meat or seafood soups. This white grape variety almost certainly has Spanish origins, and is cultivated in the area around Alghero. Makes dry or sparkling wines. The colour is a very pale yellow with fruity, floral and herbaceous aromas. Pairs very well with shellfish. White grape variety which gives the wines with the only Sardinia’s DOCG (Denomination of Origin Controlled and Guaranteed). It is cultivated all around the island, but in Gallura, where was firstly planted at the end of 18th century, has found its perfect terroir, thanks to the soil’s granitic conformation. As a general rule, wines obtained from this variety are pale yellow in colour, have herbaceous perfumes typical of the Mediterranean area, and notes of white fruits. Characteristic for its bitter almond aftertaste. Pair with simple or elaborated fish and seafood dishes. White grape variety with very old origins, so that is almost considered native of Sardinia. Vernaccia production is strictly carried out in Oristano province. The wine is obtained with an oxidative method similar to Sherry, with special filming yeasts named flor. Its colour is golden yellow with amber undertones, with rich aromas of dried fruits, nuts and spices. Dry wines are paired very well with fish and seafood (traditionally paired with Bottarga). The sweet version pairs well with dry patisserie. 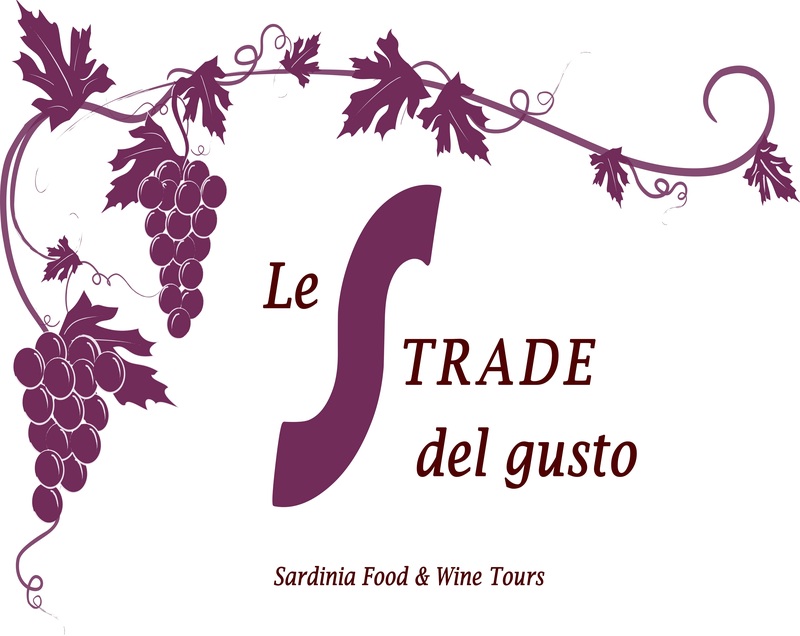 For further informations, please click on the link for the brochure of Regione Sardegna about wines.